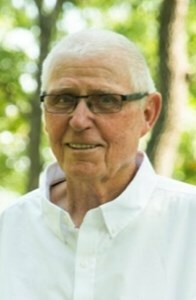 Ed Horn, 73, Topeka, formerly of Hoyt, passed away Monday, December 3, 2018. He was born November 30, 1945, in Logan, Kansas, the son of Myron and Mercedes (Carey) Horn. He was employed by the City of Topeka Water Department for 28 years, retiring as a supervisor in 2003. After he retired, he went to work as an inspector for Bartlett & West Engineers until 2015. On September 24, 1971, he married Colleen Sue “Susie” Gibbs in Topeka. She survives. Other survivors include three children: Oliver (Betsy) Horn, Boise, ID; Laura Freeman, Topeka and Mandy (Evan) Meyer, Topeka; 10 grandchildren: Dustin, Jasper, Ashlea, DJ, Chase, Jessica, Jaycee, Alex, Emma, Chloe and six great-grandchildren: Ayden, Harlow, Zach, Charlee, Kole and Taryn; four brothers: Jim Horn of Salina, KS; Chuck Horn of McPherson, KS; Danny Horn of Galva, KS; and Nick Horn of Hays, KS; three sisters: Veda Brasted of Logan, KS, Peggy Campbell of Phillipsburg, KS, and Idona Duncan of Stockton, KS. He was preceded in death by his parents, son, Doug, three brothers, Frank, Roger and Clayton and one sister, Shirley. Ed enjoyed raising cattle, fishing, camping and traveling. He was a loving husband, dad and grandpa and was a wonderful father figure to his nieces and nephews. A memorial ceremony will be held at 11:00 am, Friday, December 7, 2018, at Parker-Price Cremations, Funerals & Receptions, 245 N.W. Independence Avenue, Topeka. Visitation will be held on Thursday at the funeral home from 6:00 pm until 8:00 pm. To share a memory of Ed or leave a message for his family, please click the Share Memories button above. Add your memories to the guest book of Ed Horn. I just heard about Ed's passing. We are so sorry for your loss. We remember him fondly, he was a great man. We both have you all in our thoughts and prayers. Love you and God bless. My sincere sympathies. Ed and I used to ride the school bus together. I remember Ed & his brothers, Jim & Chuck riding our school bus. They drove from their farm to our place & parked there waiting for the bus. Probably did that at least a year. For some reason, I remember Ed as being the quietest one. Maybe Chuck & Jim were more ornery? As I recall, Roger never rode the bus. I think he finished out Grade school @ Speed. He came to Logan, & graduated with me in 1967. I have good memories of Roger as well. Sorry for your loss in the Horn family. A neighbor West of Speed. Being an older cousin, my memories of Ed are mostly of his childhood . Looking at his picture, it's doubtful I would recognise him, but would certainly know he is family! Praying for comfort and peace from God to surround his loved ones. So sorry for the loss of Ed. He was a very nice guy. We can't be with you at the funeral, but will be thinking of you. Sending deepest Sympathy to Ed's family& friends. Lots and lots of smiles when thinking of Ed. He was a fun,and caring person with a hint of an attitude. His wine was wickedly good. My other memory is when he danced with my Mom at Michelle's wedding reception. She was so flattered he asked her and after that Ed became her favorite. He will be missed but also leaves behind good memories for all his wonderful family.